Use Skritter Classroom to apply a coupon code to new members or add additional time to students who already have Skritter accounts! 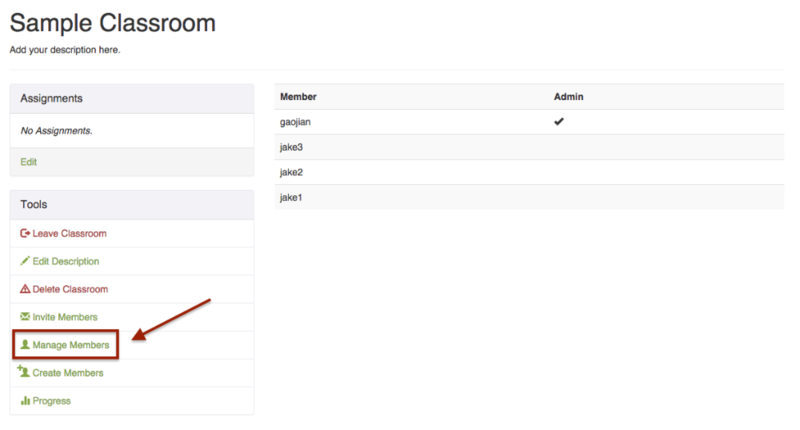 Go to Manage Members under Tools. Select the members you wish to apply to code to. Enter code where it says "Enter Coupon Code" and hit the Apply Coupon button. Expires time will be automatically updated.